What if your worst nightmare was real? 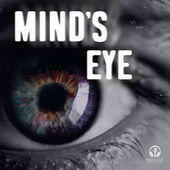 In Mind's Eye, the first fiction podcast from the Parcast Network, Homicide Detective Kate McClay is having horrifying dreams. The only thing that can stop it? Catching a serial killer. Mind's Eye is brought to you from Parcast, the storytelling team behind hit shows like Serial Killers, Cults and Unsolved Murders: True Crime Stories. This is the first episode and it is AD FREE! If you like what you hear, go subscribe and listen to the first four episodes now!